Dublin Granville Road from Ulrey Road to Hamilton Road will be CLOSED April 10th – July 1, 2019. Please use the Hamilton Road entrance to the shopping plaza by LA Fitness (5959 North Hamilton Road, New Albany, Ohio). 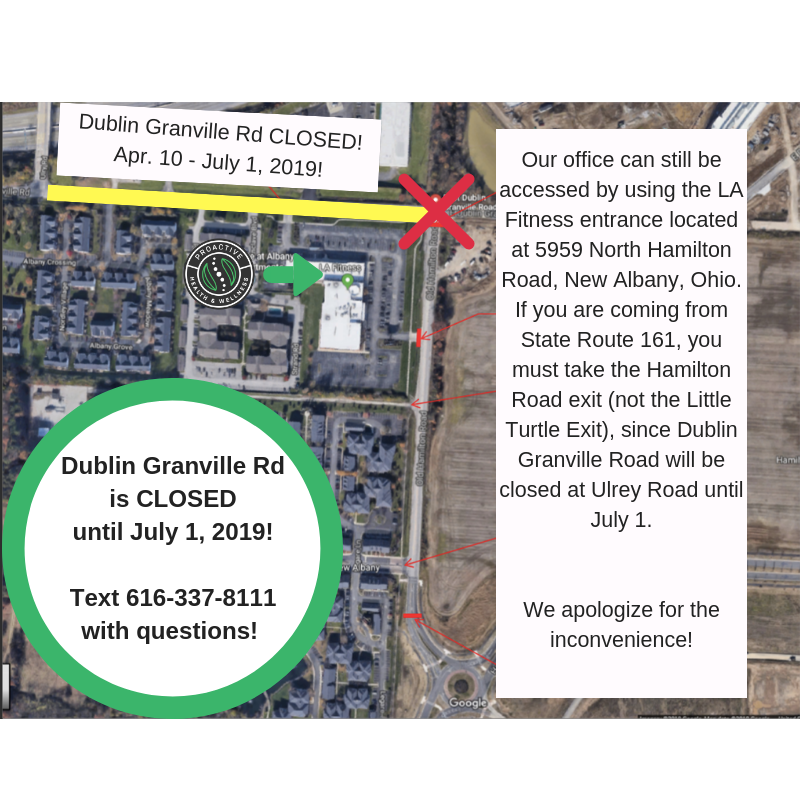 Also if you are coming to our office from State Route 161 you will need to take the Hamilton Road exit (and drive past the Big Lots corporate headquarters) instead of the Little Turtle Exit to access our office. Please see the updated map below for road closures, and call or text 614-337-8111 with any questions!